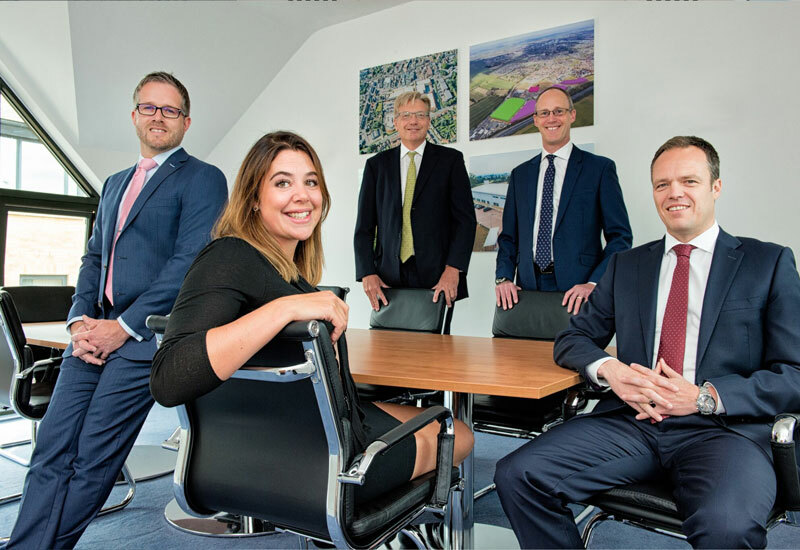 The Churchmanor Estates Company PLC, a key player in the region’s commercial property market, has its eyes firmly on the future with plans to expand its services supporting the retail, leisure, mixed-use, industrial, business parks, research and development and office sectors. The company, which has been based in Ipswich for the past 35 years, has recently strengthened and expanded its team to build on its existing areas of expertise. Churchmanor has a wide portfolio of developments across multiple sectors including business parks such as the 60-acre Suffolk Business Park in Bury St Edmunds and research and development parks including the 250-acre Chesterford Research Park in Cambridge for tenants such as Phizer, Astra Zeneca and Illumina. The company also specialises in urban regeneration schemes and have recently completed the £28 million Chequers Shopping Centre in Huntingdon which includes lettings to Marks and Spencer, Next and TK Maxx. Alan Rosten has been recently appointed as the new Financial Director at Churchmanor joining newly promoted Development Director Matt Cloke, Construction Director Leon Beards and Head of Communications Emma Proctor King. Churchmanor’s most recent office completion was the new 55,000sq. ft. headquarters for solicitors Birketts LLP in Princes Street in Ipswich, which was formally opened by HRH Prince Edward, the Earl of Wessex, in May 2018. Churchmanor is also behind the re-generation of the former Archant offices on Lower Brook Street with the site forming a key link between the town centre and the waterfront. Matt Cloke, Development Director, has been overseeing the project. He commented: “We’re preparing the site for a McCarthy & Stone retirement living development and have invested £350,000 in a large scale archaeological dig to ensure the site’s history and heritage has been recorded and preserved. Churchmanor also has a very strong presence in Colchester, having built Colchester Business Park in the 1990s. It has recently completed the £12 million Stane Leisure Park, the first phase of the Stane Park development in Stanway which includes the new Princess Charlotte pub, along with a selection of restaurants, including KFC, Bella Italia, Nandos and Starbucks. Planning permission was granted in August for phase two of Stane Retail park – 180,000sqft of retail accomodation which, when completed, will be home to B&Q, Aldi, Marks & Spencer Food Hall together with a terrace of other retail operators.